KUALA LUMPUR, Malaysia — Menlo Worldwide, a leading provider of global logistics and supply chain management services, announced recently it has launched a new business entity to service Malaysia customers in Kuala Lumpur and Penang. Operating as Menlo Worldwide (Malaysia) Sdn. Bhd., the company is supporting a growing number of local clients with a wide range of logistics capabilities including local and global freight transportation management, distribution and fulfillment, warehousing, and inventory management and control. 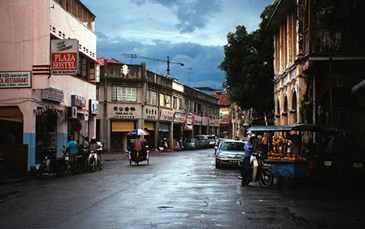 Menlo Malaysia currently serves customers in the consumer goods and high-tech manufacturing sectors. The local operations plan to extend services to other industry verticals over the next year. "Kuala Lumpur and Penang are central to the manufacturing operations of many retail consumer goods and technology companies," said James Hsu, managing director, Asia-Pacific for Menlo Worldwide. "It is an active market for outsourced supply chain management services. By establishing this new business entity we are responding to our customers and their needs for expanded capabilities and reliable third-party logistics services to complement their local operations." Menlo has located its Kuala Lumpur operations in facilities shared with local firm MLH Logistics, with whom Menlo has a long-standing relationship, due to their strong network and logistics infrastructure in Malaysia. The new Malaysia venture joins an Asia Pacific network for Menlo Worldwide that includes Singapore, Hong Kong, China; Thailand, South Korea, Australia and India.